The Flip natural dining chair offers a malleable chair that can be different things to different people. For some, the Flip chair makes a great office chair. 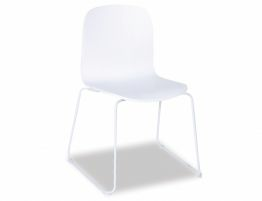 Others will see this chair as the perfect commercial chair for their upscale restaurant or café. Still, others will put this attractive natural American Ash chair to use as modern desk chair in their home office. Just what is it that makes the Flip chair such a work horse? 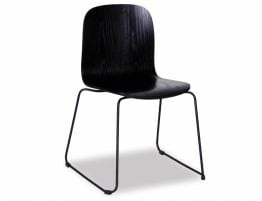 This chair features a Black steel sled base for stability and strength and a naturally finished timber wood seat for warmth and design detail. 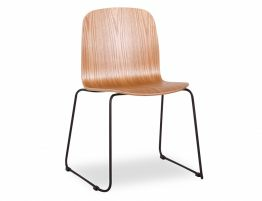 The pairing of the wood’s natural grain with the sleek base make for a chair that is up for nearly anything. 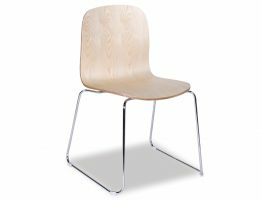 Put this wood chair in your kitchen for a clean, modern look. 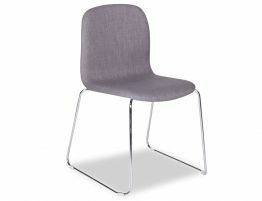 Or add these chairs to a company break room for a polished yet simple sophistication. 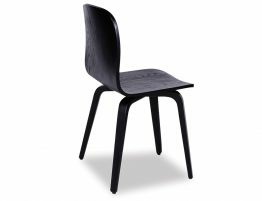 Whether you are in search of a light timber chair or a modern desk chair, the Flip chair tops everyone’s favorites list.